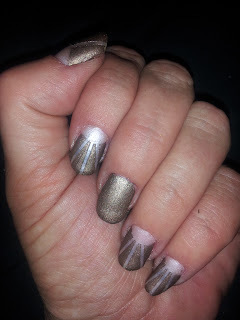 I've had some relatively bold nails for me lately so today I did a nice, neutral nail using one of the polishes from my November Maven box. The base here is Julep Emma and the tawny top is Julep Amber. I'm not really loving it like I had hoped (love the individual polishes though) but it's still refreshing and calming. I actually like the suede finish a lot - I love mattes and these have just a small shimmer to them.